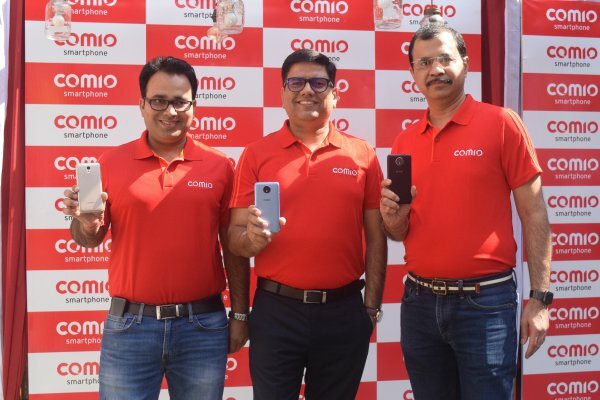 Comio India has launched today two new smartphones in India – Comio C2 Lite and S1 Lite. Both these phones come with 5 inch (1280 x 720 pixels) HD display and are powered by 1.3GHz quad-core MediaTek MT6737 64-bit processor mated with Mali-T720 GPU. These phones run on Android 7.0 Nougat OS. Both the phones come with connectivity options of FM, 4G VoLTE, WiFi 802.11 b/g/n, Bluetooth 4.0 and GPS. Both the phones support Dual SIM and have dedicated slot for microSD card. 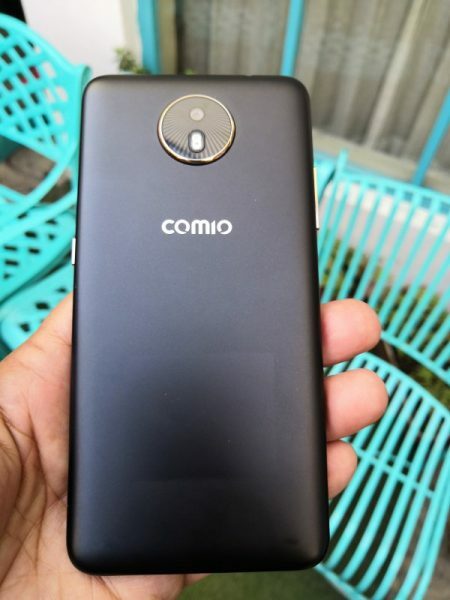 Comio C2 Lite is equipped with 1.5GB RAM and 16GB of internal memory which is extendable expandable up to 128GB with microSD. THis phone is packed with 3900mAh battery. On the optics front, this phone is mounted with an 8MP auto-focus rear camera with LED Flash and f/2.2 aperture. For selfies, this phone has 5MP fron camera with LED flash and f/2.2 aperture. Priced at Rs. 5,999 this phone is available in Sunrise Gold, Royal Black and Metallic Grey colors. Comio S1 Lite comes with 2GB RAM and 32GB of internal memory which is expandable up to 128GB with microSD card. This phone has 3050mAh battery. It is mounted with 13MP auto-focus rear camera with LED Flash and f/2.0 aperture. For selfies, this phone has front facing camera of 8MP with LED flash and f/2.2 aperture. Priced at Rs. 7499, this phone is available in Ocean Blue, Royal Black and Sunrise Gold colors. Both the devices are embedded with the Freezer Application which allows you to use as many applications as you wish without worrying about RAM constraints as claimed by the company. Both the phones come pre-loaded with Venus Browser which is a light weight web platform for functions like browsing, app store and services. Users can do many things with this app like shopping, playing games, browsing, listening to music and watching movies etc. Venus is first Indian browser solution which supports 22 regional Indian languages. COMIO smartphones also come with the valuable anti-theft feature preloaded in all handsets. In case of any suspicious activity, SIM based alerts are shared with the registered mobile number. One of the interesting feature of anti-theft is the ‘intruder selfie’. In other words, when someone tries to unlock the device by trying to break the pattern or PIN, the device will automatically capture the image of the unauthorized person. Next articleVisa Video Captures the Pulse of Young Indians; How Do You #ReimagineIndia?